General Plastics supplies aerospace and defense manufacturers with built-to-print flexible polyurethane products and aerospace-grade rigid foam core materials for aircraft flight decks and interior cabins. These customized, flame-retardant polyurethane products include our integral-skin foams (or “self-skinning” foams). Our materials are used in flight deck pads, passenger cabin walls and ceilings, overhead stow bins, service-class dividers, galleys and lavatories, and as edge closeout. Our customers also tap our extensive experience with polycarbonate and acrylic sheets for aircraft passenger windowpanes and wingtip-lens transparencies. 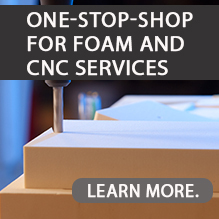 We cost-efficiently machine and fabricate rigid foam board and flexible foam materials to demanding aerospace and military defense specifications. General Plastics offers extensive, scalable CNC-machining capabilities, and accepts customer-supplied CAD data. We have the skills, capacity and facilities to precisely manufacture build-to-print parts that satisfy the most complex requirements. All of our products are manufactured in the United States of VOC- and CFC-free foams. Our company is ITAR-compliant. Read this case application to learn how our high-temperature Tooling Boards are helping create new products to the helicopter market. Superior-quality General Plastics materials have been proven in military and missile defense applications for more than 50 years. Our flexible, polyurethane open-cell foams are formulated to absorb large amounts of impact energy at controlled rates while cushioning payloads from high G-stress levels. They have been used extensively as “spring-damper” shock isolation systems, protecting missiles in underground silos and submarine launch tubes. The Minuteman, Peacekeeper and Trident programs have all relied on LAST-A-FOAM® products. We have proudly supported NASA’s extraterrestrial missions since the dawn of the space age. Today, we are actively collaborating with commercial space companies as they extend the frontiers of space travel and exploration. Working with our longtime aerospace and defense partners, and with others blazing new trails, General Plastics is making great ideas the shape of things to come. 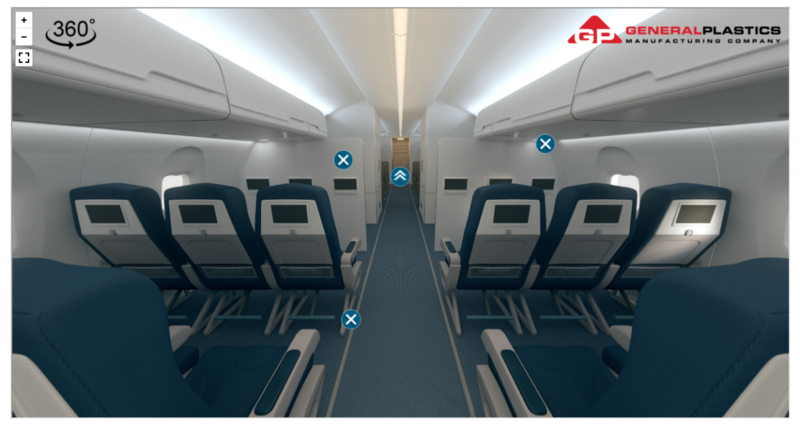 Explore an interactive 360° graphic to find out where polyurethane and foam core products are used in aircraft interior solutions.